Come join us for a panel discussion at CBS News about its most ambitious launch in decades, CBSN - the network's brand new digital streaming interactive channel. Will it change the way broadcast news is consumed? Find out as SAJA/CBS News panel will feature Mosheh Oinounou, the executive producer of CBSN, Nancy Lane, the executive producer of CBSNews.com and Vladimir Duthiers, one of the main anchors for CBSN. It will be moderated by Sopan Deb, an associate producer for CBSN and fellow SAJA member! This event will also be co-hosted with AAJA (Asian American Journalists Association) and NAHJ (National Association of Hispanic Journalists). Great SAJA event for both mid-career and young aspiring journalists interested in working for CBS News! Also, great chance to network and meet fellow journalists at CBS News, AAJA, and NAHJ! Sign up before tickets are sold out! Only 30 slots are allotted for SAJA members for this exclusive CBS News event! Please arrive promptly at 6:30pm on Tuesday, March 31st! 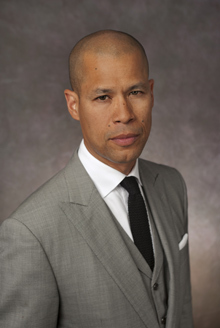 Vladimir Duthiers is a CBS News Correspondent based in New York. Duthiers joined CBS News in August 2014 from CNN, where he was an international correspondent based in Lagos, Nigeria. While in the region, he covered the ongoing military intervention in Mali, the terrorist attack on the Amenas gas plant in Algeria, the trial and sentencing of the former Liberian warlord Charles Taylor at the ICC in Sierra Leone, the crash of Dana Air flight 992 and President Barack Obama's visit to Senegal. He has also reported from the Middle East on the Israeli-Palestinian crisis and from the streets of Bangkok during Thailand's political turmoil. He was on the scene in 2012 as the Occupy Nigeria movement exploded into the streets of Lagos. Duthiers' reports focused on the economic struggles of ordinary Nigerians and the religious tensions surrounding attacks by the Islamist terror group Boko Haram that has killed thousands of Nigerians since 2009. Most recently, Duthiers reported on the more than 200 girls kidnapped from their school in northeastern Nigeria by Boko Haram and was one of the first Western journalists to interview family members of the abducted children. 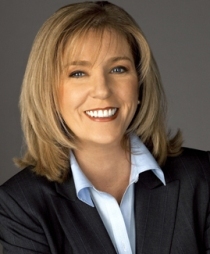 Nancy Lane was named Executive Producer of CBSNews.com in February 2012. In this role, Lane oversees all editorial for CBS News' digital properties, social media, and mobile apps. Lane was most recently Senior Vice President of Editorial for CNN/U.S., where she directed newsgathering operations, including rapid response to breaking news and in-depth coverage of ongoing, as well as exclusive, stories. She also oversaw affiliate desks, domestic bureau chiefs, guest booking, and the deployment of CNN's domestic newsgathering resources. Previously, Lane served as Vice President and News Director of CNN/U.S. Mosheh Oinounou is the Executive Producer of CBSN, CBS News' new digital streaming channel. 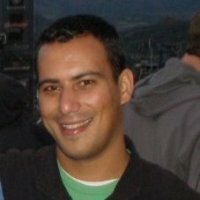 Prior to launching the channel, he was a senior producer at CBS This Morning and an International Editor at Bloomberg TV. As the executive producer of CBSN, Oinounou overseas the day-to-day operations of the channel, including coordinating breaking news coverage and liaising between various CBS News shows to showcase the organization's best work. 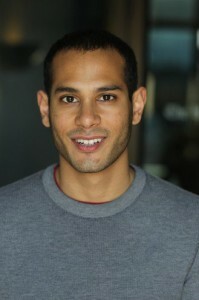 Sopan Deb is an associate producer for CBSN. Prior to joining CBS News, Deb was a producer for Al Jazeera America's flagship magazine show, "America Tonight," and an assistant producer for "Rock Center with Brian Williams" at NBC News. He's also been a social media editor for Major League Baseball.